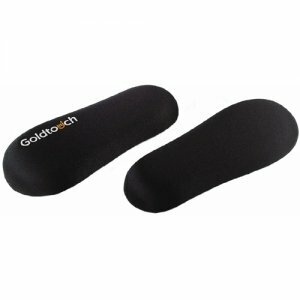 Goldtouch Palm Supports provide a safe respite for the hands when not typing. Made from durable gel and smooth lycra. Goldtouch Palm Support actively support each palm in alignment with the left and right sides of the keyboard while minimizing risk from contact stress.